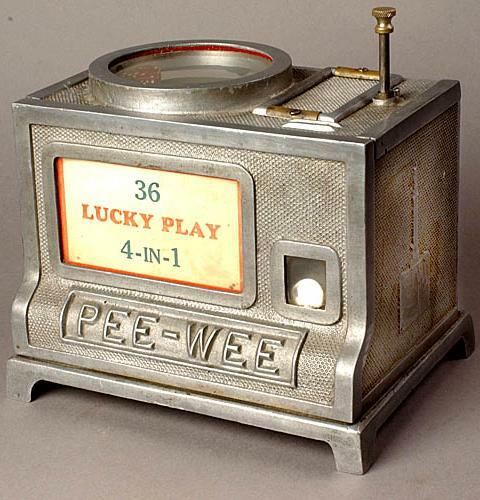 Description: Pee Wee "36 Lucky Play 4-in-1", manufacturer unknown, 1930s (exact date unknown), a payout dice machine. 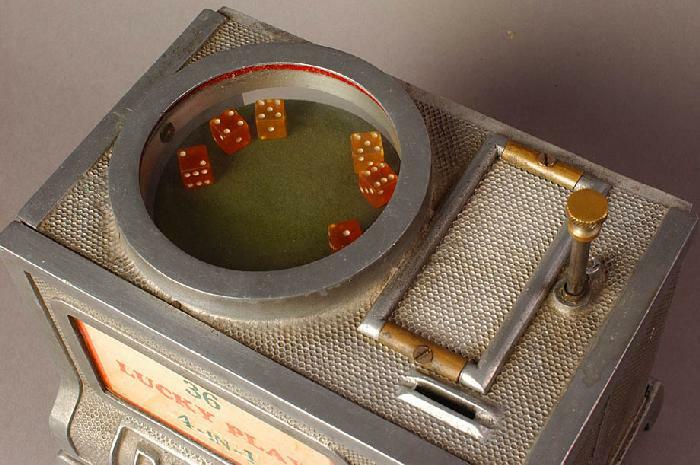 There were many payout dice machines made by Mills, Western Equipment & Supply, Rockola, Bally and Buckley during the period from 1932 to 1937. 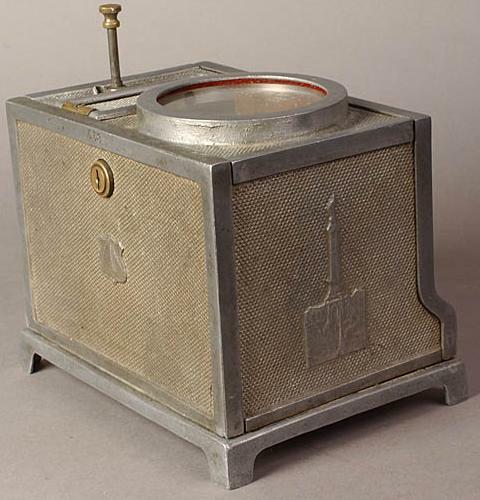 These were small gambling devices.